For the last two weeks, Mrs Anderson's reading group has been focusing on a specific chapter of our choice to do a series of challenges on based on the topic of our stories. These activities could've been done either alone, or with a partner (As long as we both had our own copies of the same book, or we set up a time to read it together. I chose to do this challenge alone, as I prefer to do activities like this one by myself. Although it was fun to see what partners had created together. 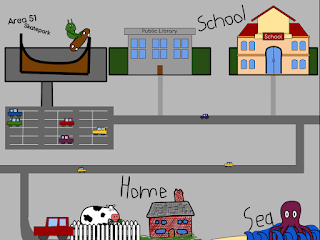 For this activity, I drew a map that showed all of the different locations in my story's world. 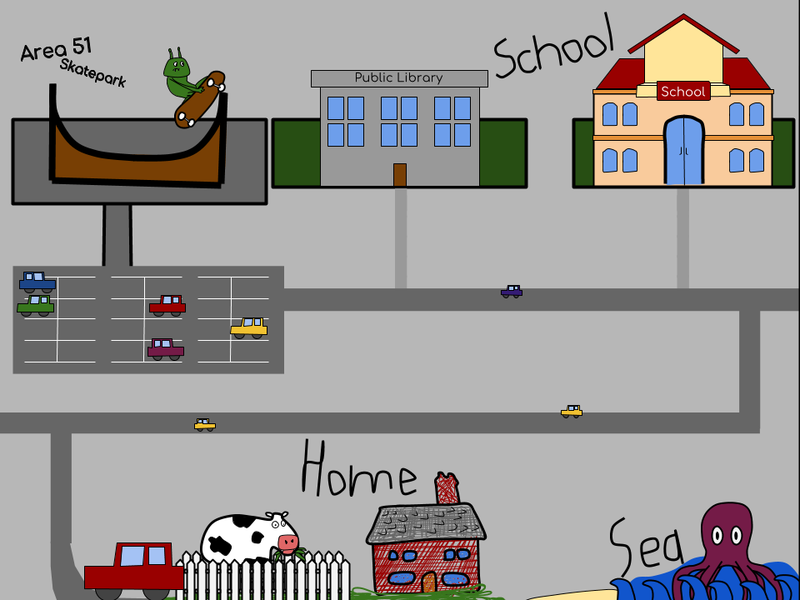 On this map, you can see such places as Harry's (Main character) house, his school, and even the Area 51 Skatepark. I had a lot of fun drawing this map, and I am very happy with the outcome. I do hope that you enjoy what I have created, and if you have any feedback, please comment what you have to say. A great story map Jack. It has a lot of detail and it is clearly labelled and easy to understand. Thank you for your feedback onto my blogpost. I am more than happy that you like what I have done in this activity, and splendid that you understand the locations of my story. Thank you so much for what you have done!